I didn't take this picture, NASA did. I'm nowhere near that good with my astrophotography yet. The subject of the picture has a rather interesting story though. Some might recognize it as the Crab Nebula, and it is a remnant of a supernova. The Crab Nebula has a rather important distinction today. Back in 1758, a French astronomer by the name of Charles Messier was trying to look at comets, which to his viewing tech were fuzzy moving objects; but he kept seeing weird fuzzy objects that did not move. In order to not get bogged down in his comet hunting, he made a list of objects that were fuzzy, looked like comets on first glance, but were not moving. 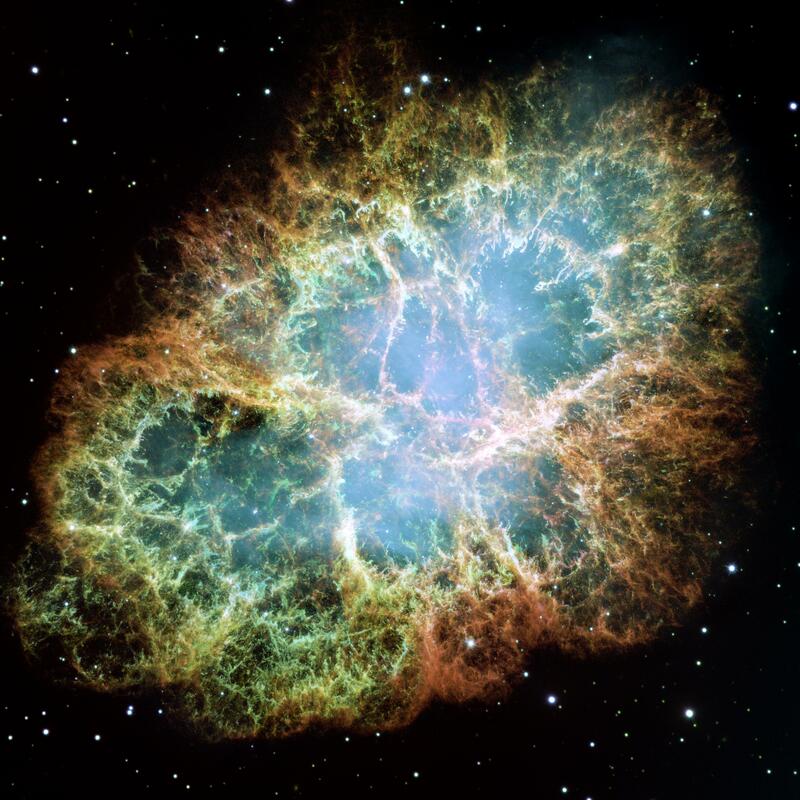 The list is known today as the Messier Catalog, and M1 is the Crab Nebula. The date that it was recorded was September 12, 1758, 257 years ago today. His entire list are objects that backyard astronomers (like myself) strive to look at through our humble equipment. In total, Charles Messier listed a total of 110 of these objects, which include the Pleiades (M45) (link goes to my pictures of them), the Orion Nebula (M42), and the Andromeda Galaxy(M31). He also discovered 13 actual comets.